Jeffrey has worked in consumer finance for over 38 years. The past twenty have been spent as a credit counselor helping families and individuals in financial distress. 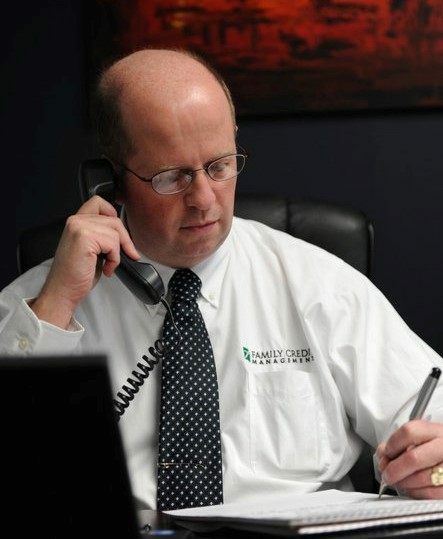 He joined Family Credit in 2004 as a certified credit, housing and reverse mortgage counselor. In that time, he has taught hundreds of seminars, workshops, and classes for thousands of consumers across the United States. Jeffrey is passionate about consumers receiving the resources they need to make sound, intelligent decisions about their finances both now and in the future. In his current role as Client Care Manager, Jeffrey Telling works as an advocate for the consumers Family Credit Management serves. In his position, he helps clients who are dealing with the most difficult hardship situations, providing counseling and education. As a father, Jeffrey has a strong concern regarding the education of the youth in America. Along with FCM President Michael McAuliffe, he co-authored the Personal Finance Made Easy course. The class materials, as well as a video version of the course can be found on our resources page. Jeffrey’s hope and goal is that we can increase financial awareness within families and our communities. Jeffrey received his Bachelor’s Degree in Business Administration from Urbana University and resides in central Illinois with his wife and three daughters.